JUBA, South Sudan – South Sudan’s President Salva Kiir announced in a press statement released Friday afternoon that southern forces would unconditionally withdraw from Heglig—10 days after seizing the disputed oil-rich region from Sudan forces—in a gesture that is likely aimed primarily at restoring South Sudan’s declining image before the international community. “In conformity with the United Nations Security Council Presidential Statement and in response to appeals by world leaders and to create an environment for the resumption of dialogue with Sudan; the Republic of South Sudan announces that SPLA troops have been ordered to withdraw from Pathou (Heglig). An orderly withdrawal will commence immediately and shall be completed within three days,” the press statement read. On Tuesday, the Security Council announced that it was considering imposing sanctions on both Sudan and South Sudan for the escalation of hostilities on both sides in recent weeks. The statement from South Sudan went on to reassert the South’s claim on the disputed area, ask that Heglig and other areas under dispute go to international arbitration, and call on Sudan to end bombings and ground attacks on southern territory. 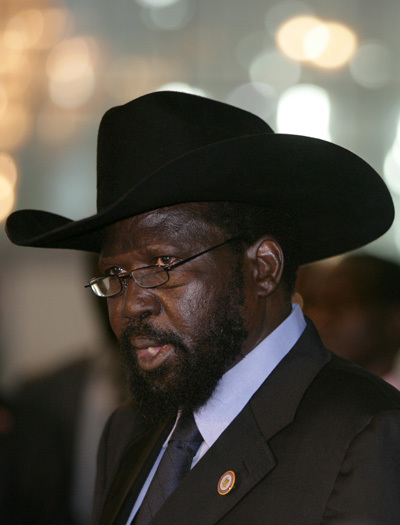 Last Thursday, President Kiir announced that southern troops would only withdraw if an international force were deployed to ensure Heglig would not continue to be used by Sudan forces as a “launching pad” into the South. Since that address, the rhetoric out of Juba has gradually softened. Fighting and bombings by Sudan, though, continued along the disputed border. “I can say with confidence that virtually everyone I’ve talked to has said, ‘Look, we don’t want to go to all-out war with the other; we need to find a way out.’ Now they have different approaches to how to get out of this situation, but both sides are looking for that,” Lyman said of his meetings in Khartoum and Juba. South Sudan officials have long voiced frustrations with the talks, often pointing a finger at what they see as Sudan’s intransigent positions at the table and the facilitating African Union High-Level Implementation Panel’s inability to pressure Sudan into compromising or ceasing aggressions against the South. “The unresolved issues that are truly critical to the final resolutions of outstanding issues must be brought into sharper focus and the negotiation/facilitation process in its entirety needs to be given more clout in order to deliver,” the statement said.